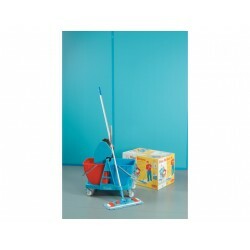 Maximise your time and effort with the use of this highly efficient cleaning system. 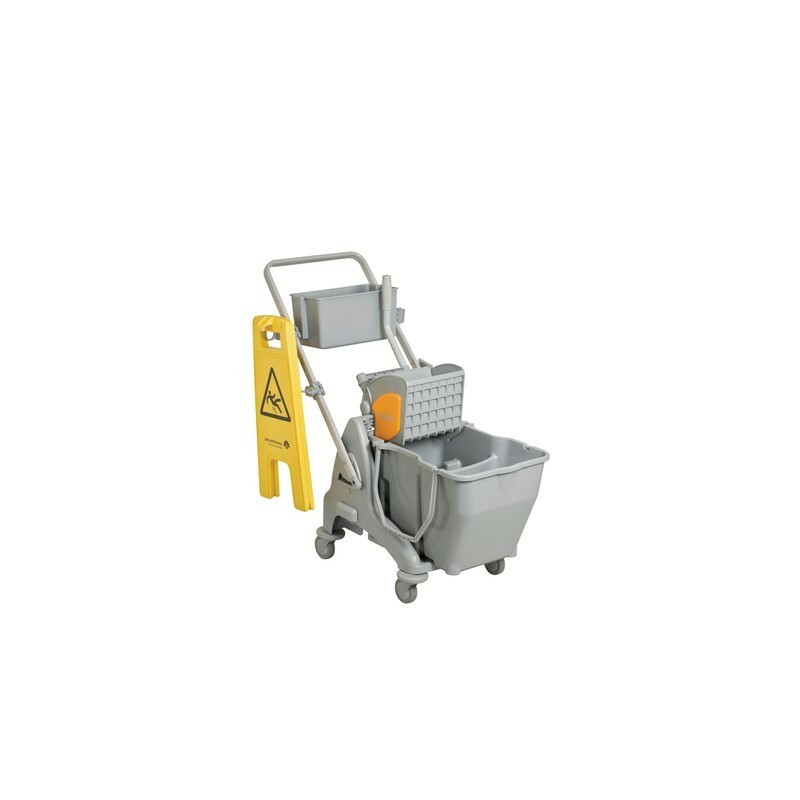 The portable mop trolley is designed to make cleaning, storage, transport, and overall mobility both comfortable and quick. 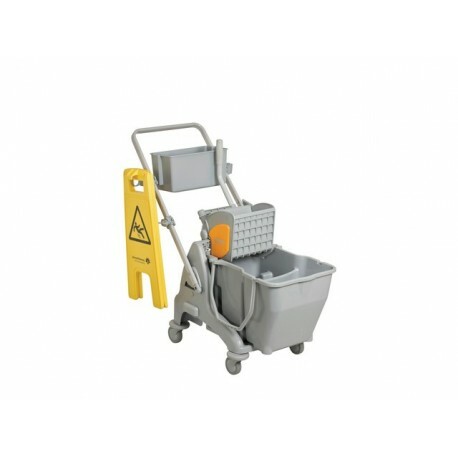 The trolley itself is comprised of a double bucket system with an easy-to-use, adjustable push frame. The separate reservoirs have a total capacity of 30 L (the larger holds 18 L, while the smaller holds 12 L). It also includes a mop press with an accessible, ergonomic handle; a cautionary sign holder that stores that fits the sign out of the way of you or your accessories; a steel clip and accessory holder tablet to carry your schedule with you; and a waist-level grey bucket for storage of additional brushes, sponges, products, towels, or personal items. ||The system supports a variety of different cleaning applications and accessories for maintaining your hard, water-resistant surfaces. The durable wheels can accommodate versatile terrain without becoming slippery or unstable. 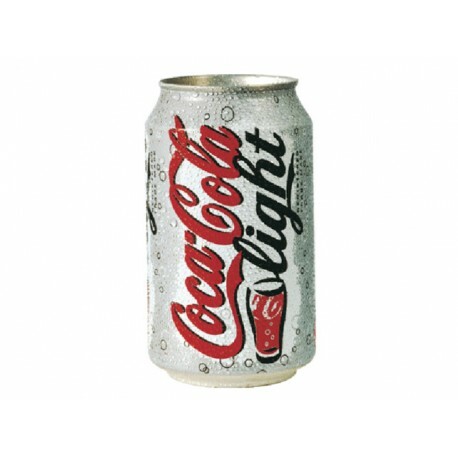 The attractive, simple design is compact, and compatible with additional MicroEasy accessories.